Very pale in color with a mild citrus nose. On the mid palate the wine matches the nose with some nice citrus notes. On the medium length finish the wine displays some nice crispness, minerality acidity. It’s vivid and bright with some nice complexity that is best appreciated without food. It is very food friendly, we paired it with chicken schnitzel and it went well. The wine builds in the mouth … I would give this an 88+, which for the price is a good deal. Touraine is a region in the more well known Loire valley where Sancerre. My LCBO product specialist said, it you like Sancerres you will like Touraine’s and they tend to be cheaper! Deal! I’ll have to keep an eye open for more Touraines! 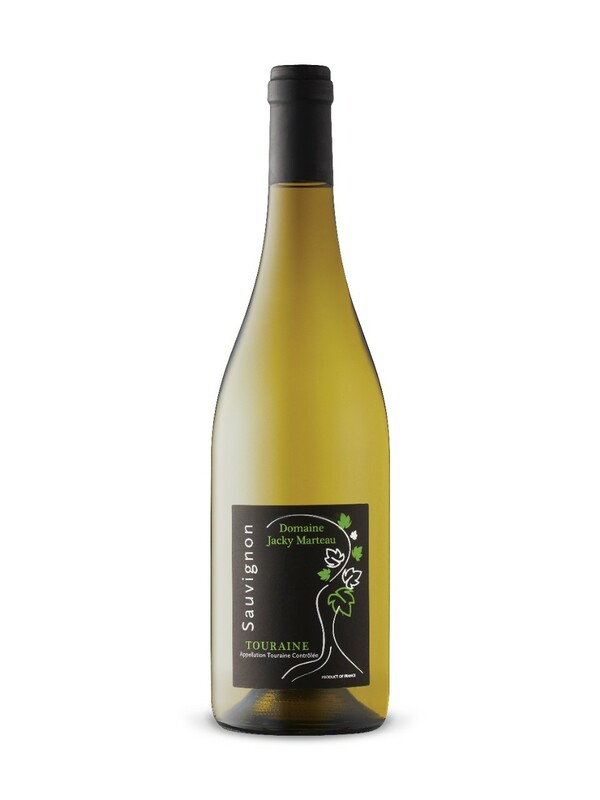 Alcohol/Vol 13.0% Made in: Loire, France By: Domaine Jacky Marteau Sugar Content: 4 g/L Sweetness Descriptor: XD – Extra Dry Style:Aromatic & Flavourful Varietal:Sauvignon Blanc Description: Silver Medal winner at the 2018 Concours Général Agricole in Paris. This entry was posted in France, JG Review, Wine. Bookmark the permalink.